This 4 lb. 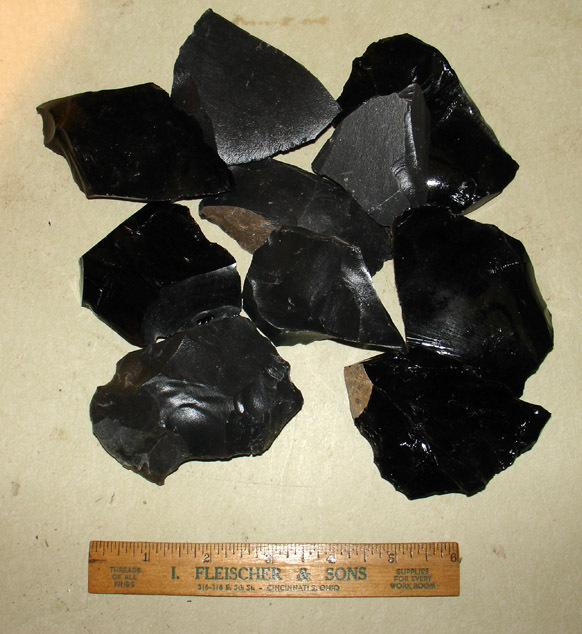 small mix includes dacite and obsidian for arrow point makers. You will need a percussion billet to reduce these into preforms for pressure flaking.